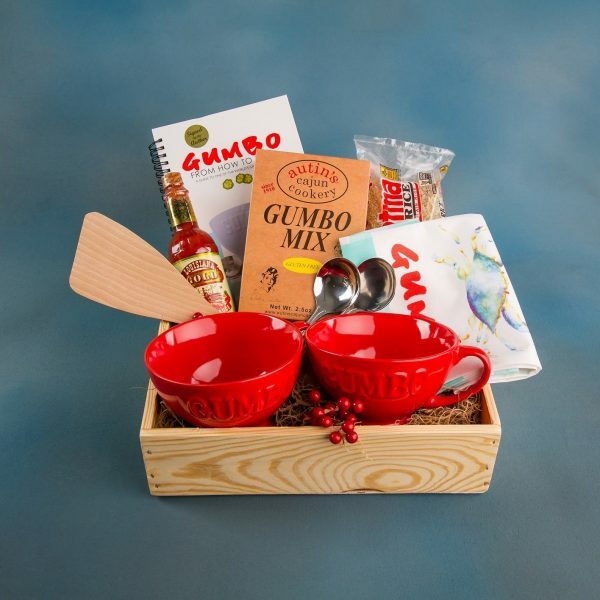 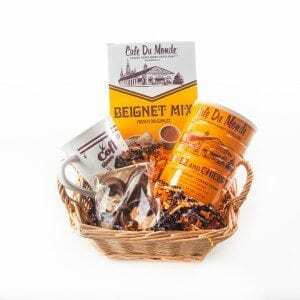 Gumbo mix, rice, wooden roux stirrer, hot sauce, gumbo spoons and two gorgeous gumbo bowls are all you need to make the perefct Louisiana meal. 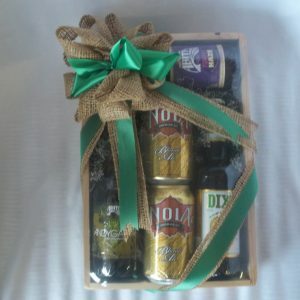 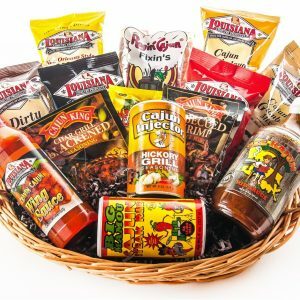 Gumbo towel and signed copy of Gumbo From How To Wow are included to make this gift extra special. 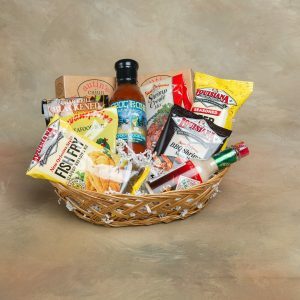 Category: Featured Baskets, What's New.